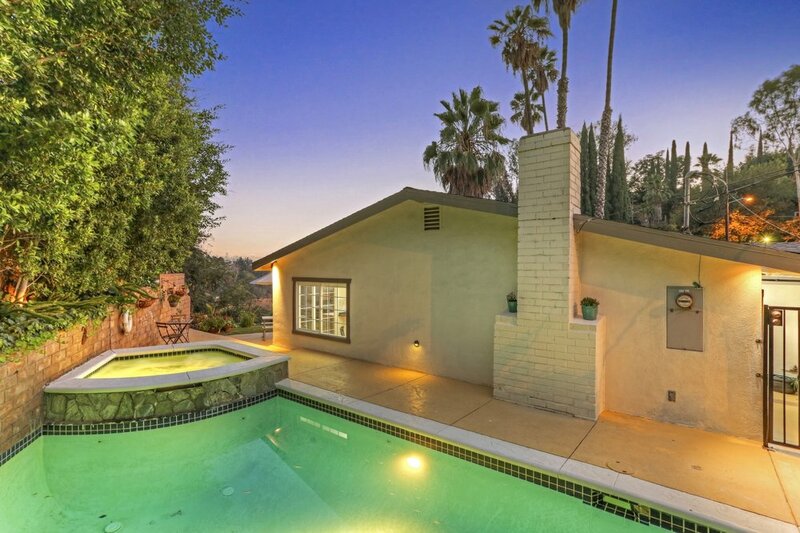 Perched high in the hills of Glassell Park sits this hidden tropical oasis that epitomizes California living. Behind the front privacy fence is a wonderful sanctuary that perfectly captures indoor/outdoor living. Spend the summers cooling off in the crystal clear pool and enjoy winters gazing at the spectacular canyon views from the comfort of the built-in hot tub. Entertain guests in the lush backyard while grilling at the built-in BBQ and outdoor wet bar. Inside is a light and airy open-concept living/dining room with a white brick fireplace that adds mid-century flare. The floors flow seamlessly into the newly renovated kitchen with windows and a sliding glass door that all point to the outdoors. The master suite perfectly frames the stunning views through two French doors that lead to the garden. 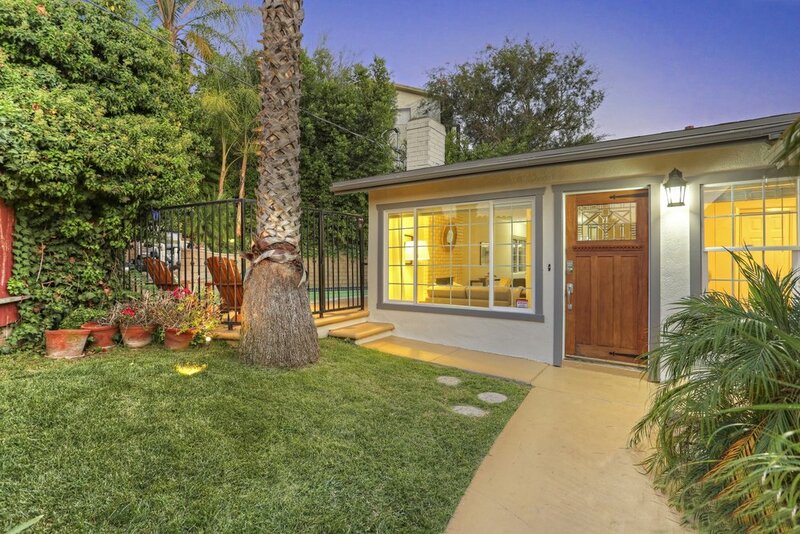 Located on a quiet street, yet easy access to the 2 and 110 freeways and all of the action in Highland Park, Eagle Rock, and Downtown.